This slick fork style is the lightest saddle we produce. 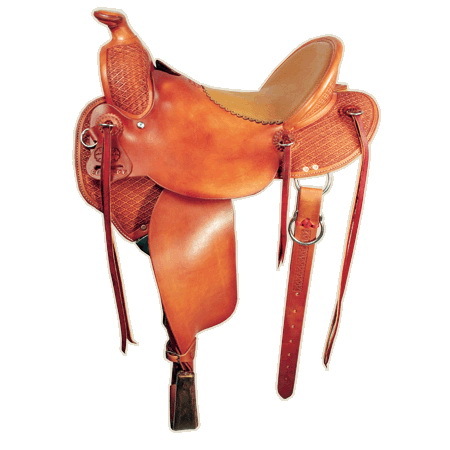 With a comfortable riding seat and bars to fit the horse, it is a real pleasure to saddle up for your trail ride. 8″ high by 6½” wide modified or SQH or QH (regular (narrow) QH or FQH available). 13″ to 17″ in half inch increments. Custom 7/8 dropped inskirt small rear dee.